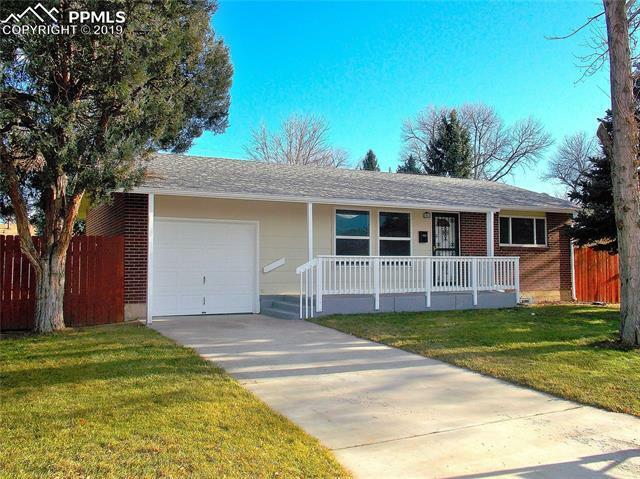 Remodeled 4 bedroom 2 bath home with original refinished hardwood floors on the main, new cabinets, granite counters, & Stainless appliances. Bathrooms are updated. Large landscaped yard. New garage door opener, 10X10 Storage shed, lots of room for RV, garden, and 18X10 patio. All new windows, floor coverings, new Roof Dec of 2018. Furnace new in 2017. Just minutes from Fort Carson, easy access to Powers and I-25, Pueblo. This home shines and is move in ready.